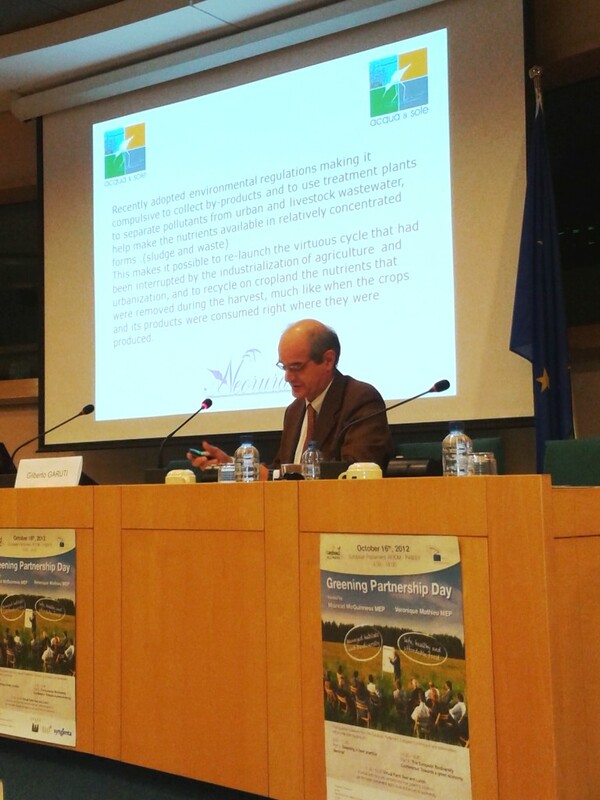 OPERA Research Centre - together with European Landowners’ Organization (ELO)and Syngenta - invited all the stakeholders at the"Greening Partnership Day", an open debate that took place in the European Parliament in Brussels on the 16th of October 2012. This event was organised thanks to the initiative of two Members of the European Parliament: Mairead McGuinness and Véronique Mathieu, and brought together policy makers, land managers, researchers, industry, media, academics, and other involved stakeholders to identify practical solutions in order to build sustainable agriculture in the face of our socio-economic challenges. The first section of the event - "Greening in best practices" - hosted byMaired McGuinness, MEP, was focused on the necessity to shift the discussion from the general policy approach on the greening measures to defining best management practices that enable viable, science-based solutions which can be implemented at farm level. During the event, presentations on scientific research which is creating the basis for good greening practices were coupled with presentations describing the practical experience of implementing these in the field. Opening the debate, Maired McGuinness highlighted the importance of biodiversity for agriculture. The benefits to food security deriving from a good level of biodiversity are well known. Farmers do not only manage their fields, but also the environment "The big challenge - she said - is to be able to engage the farmers: that's why, when speaking about ‘greening’, it's necessary to be very clear and pragmatic". This idea was underlined also by Alexandru Marchis, policy coordinator of OPERA. The political debate on the reform of the CAP has shown that there is a necessity to understand how the greening measures can be implemented in a more practical way. 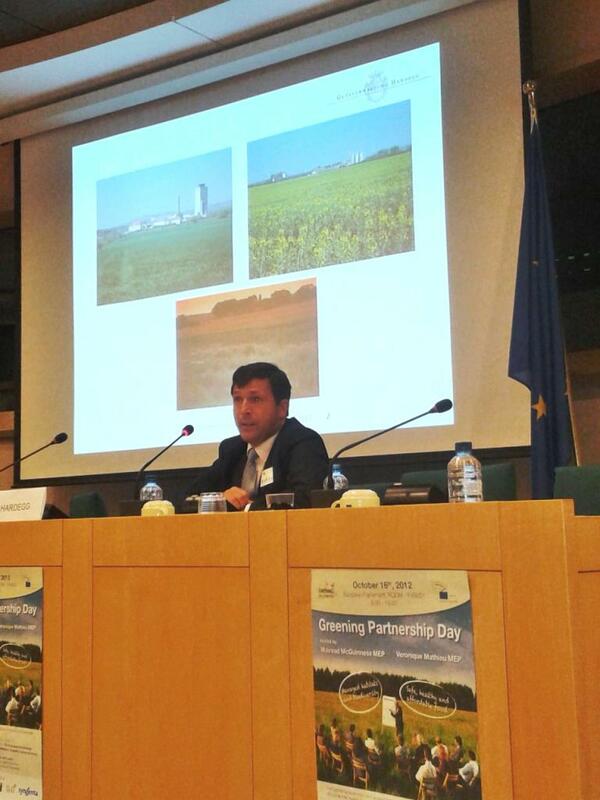 Ben Woodcock, from the Centre for Ecology and Hydrology in the UK, andRomano De Vivo, Head of Sustainable Agriculture & Stewardship at Syngenta, gave their perspectives on how field margins implementation can enhance the biodiversity in farms. 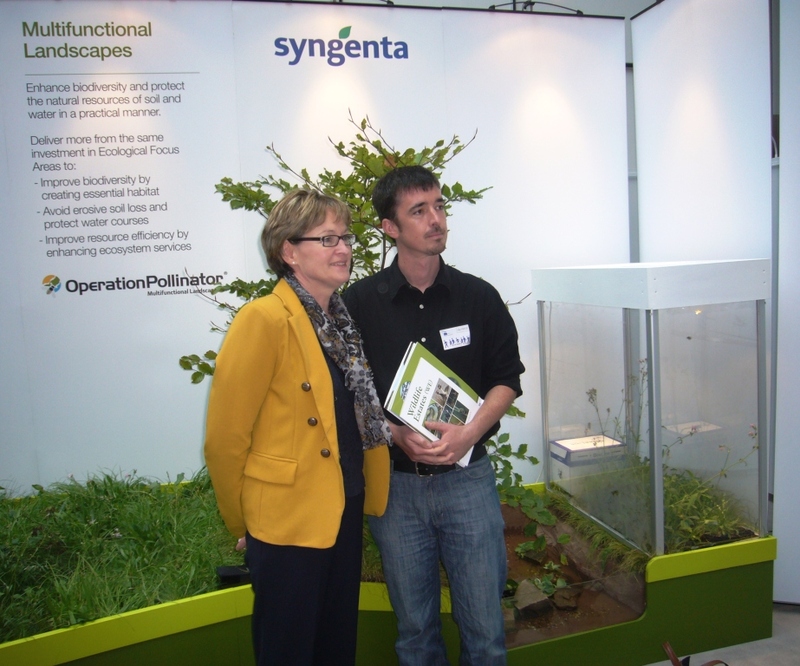 Based on the experience Syngenta has in implementing Operation Pollinator and the future development of Pollinator Network Initiative, R. De Vivo pointed out that field margins can be established using targeted seed mixtures to deliver multiple benefits to agriculture, biodiversity and society as a whole. They provide crucial, semi-natural habitats for wild plants, game birds, and invertebrates. The use of soil and water was the theme of the second and the third panel.Prof. P. Cocconcelli, from the Università Cattolica del Sacro Cuore, andGilberto Garuti, from Neorurale, explained how to enhance soil biodiversity, support soil formation and nutrient cycling. Friedrich Barth of the European Water Partnership spoke about water use and water management, underlining the importance of partnership and cooperation. Max Hardegg of the Austrian Landowners' Organization concluded the first session with a plea to support farmers in implementing practices to enhance biodiversity and manage the landscape. 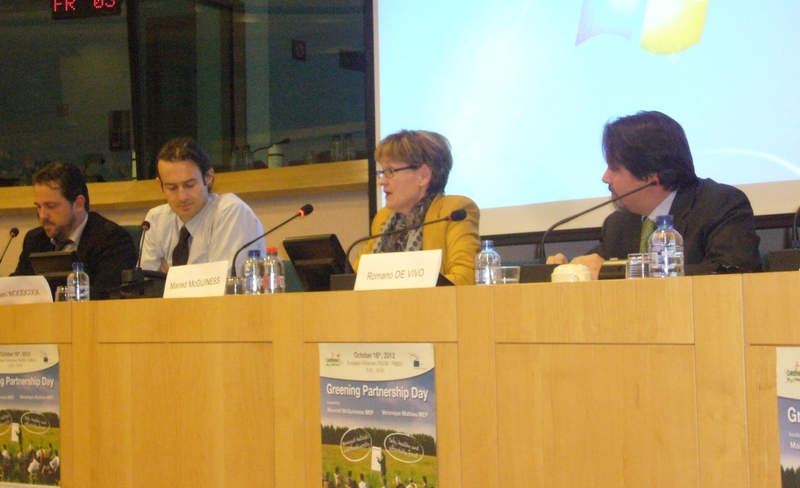 The second session of the Greening Partnership Day - the European Biodiversity Conference - was hosted by Véronique MATHIEU, MEP. since the current economic model is facing a deep crisis, the importance of moving forward a green economy was underlined by all speakers who participated in the debate. As underlined by William Neale, Member of Cabinet of Janez Potocnik, the adjustment to a green economy will bear costs, but it will also bring opportunities, which are most likely to be achieved with the "three I" - Innovation, Incentives and Integration. In light of these numbers and facing the trend that most of the growth will happen outside of the EU, Eric Peters, adviser of the President of the European Commission, focused on the importance of trade agreements. The Policy Officer of the DG Climate Action Christine Moeller explained how climate change and the depletion of natural resources are straining economic development, since a lot of companies are experiencing problems in term of growth. 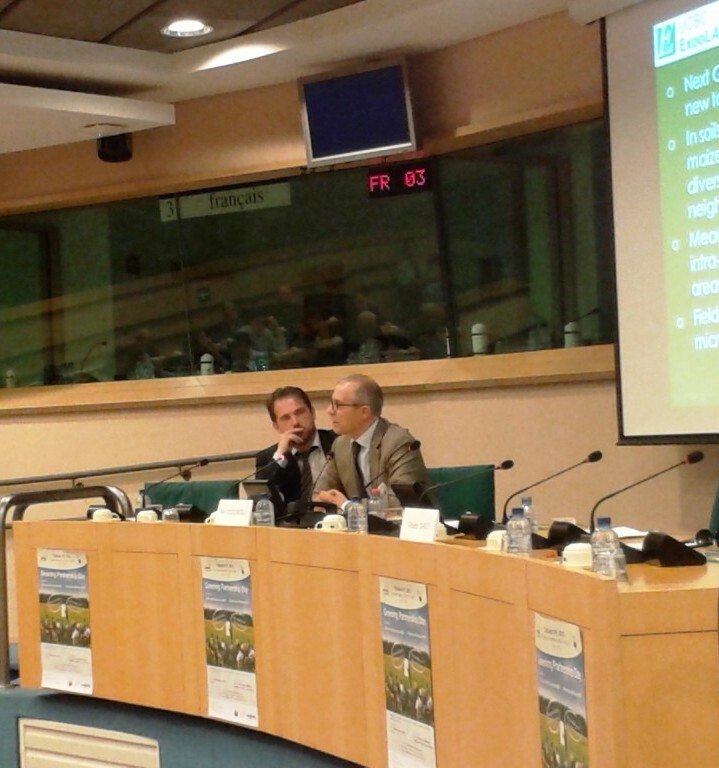 To achieve a Sustainable Intensive Agriculture a strong support for R&D is needed. Bart Vercoutere, Managing director of I-cleantech Vlaanderen gave a practical example on the contribution of innovation and new technologies, by referring to systems with close nutrient loop in “smart cities” by using agricultural areas. Finally the session 3 of the conference focused on the role of private initiative. According to Ian Dickie, government needs to shift incentives towards developing new and green technologies. The private sector should be given the lead in this innovative process, and governments should employ a range of subsidies and tax breaks to stimulate this. A local perspective on cooperative greening in the private sector was given byCarole Zakine from SAF who demonstrated best practices used by a local French cooperative who, through their greening, gained new business with important international corporations. Innovation and cooperation between stakeholders was finally highlighted: at the end of the panel, Alexandru Marchis, Policy Officer at OPERA presented the Sustainable Intensive Agriculture (SIA) Network. The new project of the OPERA Research Centre aims to create a dialogue between all the stakeholders regarding issues that are mostly connected to the idea of sustainable development in agriculture: preservation and efficient use of natural resources, food security and rural development. 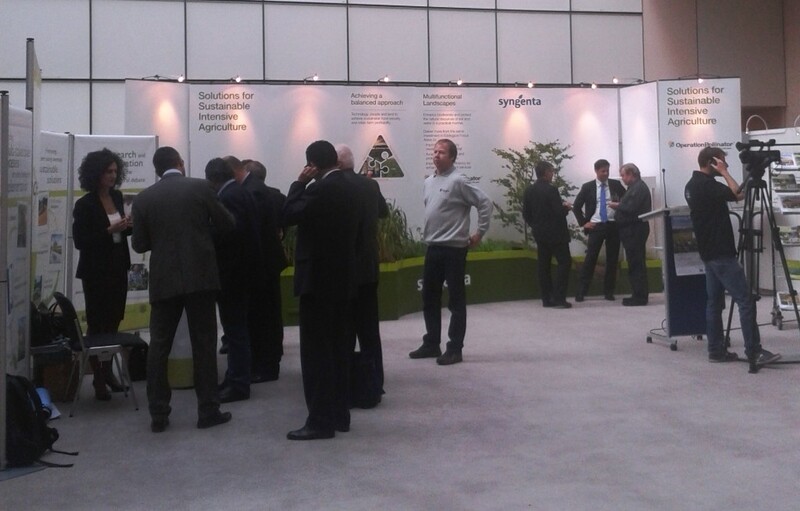 As a demonstration of a practical way of enhancing biodiversity, a virtual farm tour was organized in the Exhibition Area of the European Parliament. Thanks to an installation provided by Syngenta, the participants could see how field margins can be implemented, some of the plants that can constitute them, and the benefits for pollinators.